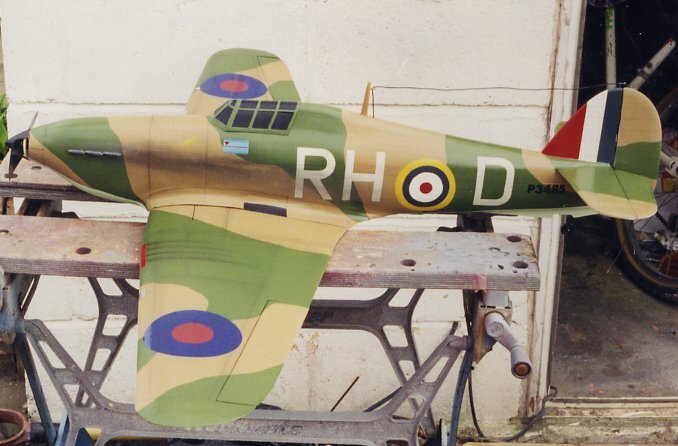 Painted in a kinda copy of my old Airfix 24th Hurricane. Powered by a speed 600 off an 8.4v Nicad pack. I dumped this and mounted a micro-servo in each wing. One mini-servo for the elevators and ditto for the rudder. Engine power controlled by a Graupner 3 stage electronic speed control.